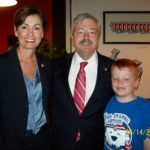 Nearly every GOP candidate from the 2012 election had their picture taken in Iowa with our United States of Autism t-shirts thanks to Sam Wessels, including current nominee Mitt Romney, but it looks like our t-shirt keeps growing in that state no matter what we do! 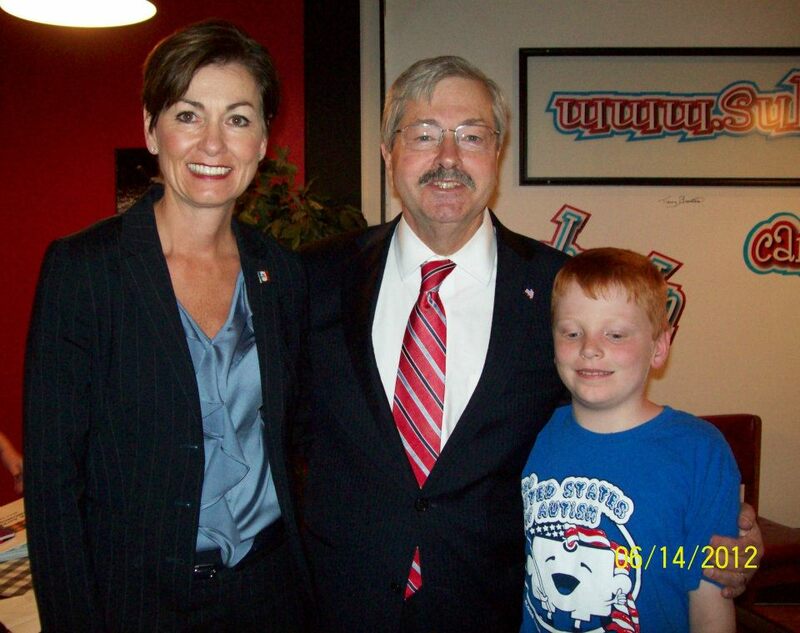 This past week Sam Wessels was at the Iowa state capitol with Lt Governor Kim Reynolds and Iowa Governor Terry Branstad, and check out that t-shirt! He’s in the running for our number one fan for sure! Congratulations again to Sam, Linda, and Mark for their great work out in Iowa and we can’t wait to show you more about their story and their boy Sam when we release the film!